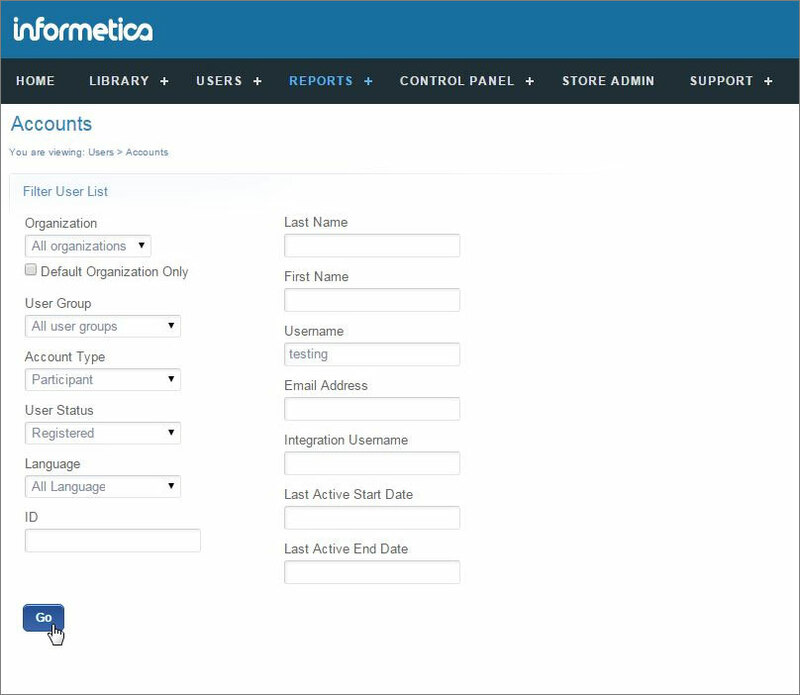 A new configuration is available for the Users > Accounts page. This alternate page view presents Site Managers with a filter page instead of loading the entire user list. This alternative is particularly useful for clients with a large number of accounts since it improves performance by eliminating the wait time for the user list to load. If you'd like this new feature for your system, please enter a SRS ticket to request that the new accounts manage page filter view be enabled. Note that this configuration is not a toggle; it is a global change that will affect all Site Managers.